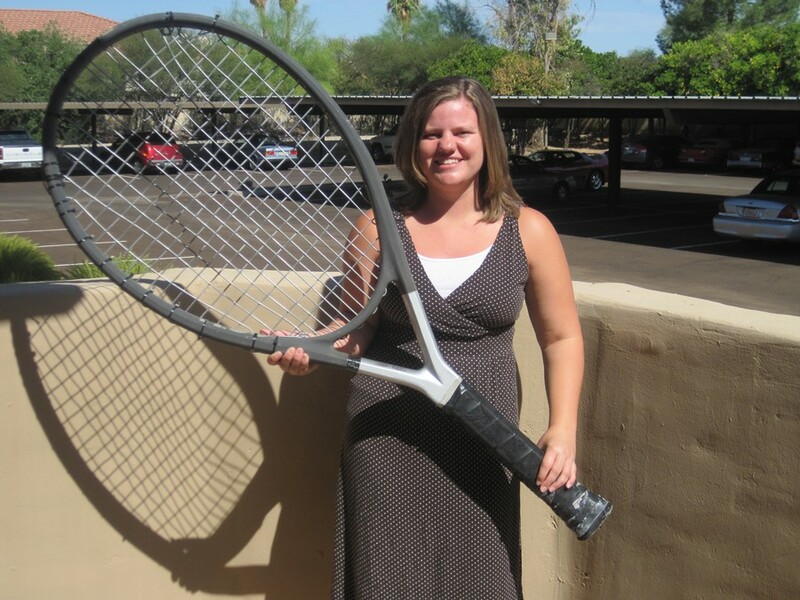 Ashley Redman has been hired as the new Tennis Service Representative for Central Arizona. Ashley was hired earlier this month after Spencer Wayman, the previous TSR had become the new Managing Director for the district. Ashley played all 4 years of high school tennis, participated in tournaments over the summers and eventually earned the honors of team captain her senior year. Following high school, Ashley moved to Las Cruces, NM to attend New Mexico State University. Upon starting NMSU, Ashley signed up for an Intermediate Tennis class as a PE credit in order to meet some tennis players. After a year of playing for fun Ashley wanted something more, so she founded the NMSU Tennis Club in 2007 and connected with the USTA Tennis On Campus program for some more competitive playing opportunities. Ashley graduated from NMSU with a Bachelor’s degree in Business Administration and studied Managerial Leadership and Sports Marketing. Ashley is very excited to be working with the USTA and is eager to work with the public, get to know the community, and grow tennis throughout Central Arizona. Ashley can be reached at TSR@phoenixtennis.com or 480-639-6704.